Anticipatory democracy may sound like a mouthful, but it’s really just a nerdy term policymakers created to justify governments at all levels becoming the decision-makers. We see it in the Inclusive Prosperity, America Next, and Dignity for All by 2030 vision from the previous two posts. Goals for our collective future are set out at forums we are not invited to and then officials decide how to get there from the present. Do you know what “Anticipatory Democracy and Aspirational Futures” http://www.jfs.tku.edu.tw/wp-content/uploads/2014/01/152-S06.pdf always needs? It needs to develop a shared vision for the future across a broad spectrum of society that justifies governments as decision-makers. How can it do that? Well, it might want to seize control over the Internet now, but even before there was an ICT industry, every radical with transformational plans knew to look to education. On February 17, 2015 the well-connected KnowledgeWorks put out its vision for the ESEA Rewrite wanting it to be grounded in Competency, including social and emotional ones, and for the federal, state, and local levels to operate together as a single system. http://knowledgeworks.org/sites/default/files/policy-political-landscape-k12-competency-education.PDF Sounds like polyphonic, progressive federalism to me as we covered in a previous post. 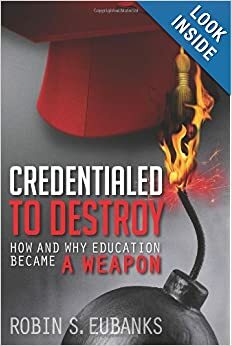 Now I am assuming knowledge of Competency as laid out in Chapter 4 of my book Credentialed to Destroy and how it fits with the real Common Core implementation and learning progressions. What I want to do here is overlay the pertinent visions we are dealing with where people have confessed the need for New Mindsets, perceptions, and personality traits that will fit with their new visions of what governments at all levels are to be doing in the developed world. Interesting choice of language in 1992. Since the Reinventing book also cites Harlan Cleveland multiple times, let’s overlay this post into what my book laid out on what seems to really been going on in the 80s and 90s and who was really to undergo the wholesale restructuring. In this new vision the “job of government is to steer, not to row the boat.” Well, that grabbed my attention given the number of times I have encountered the idea that Competency-based education is creating a desired keel at the useful level of the student’s mind and personality. This is the fundamental vision of what the 1992 book called “third-party government” where governments look to third parties to carry out the public objectives they have set. So please do not disingenuously describe it as free enterprise or limited government or conservative policymaking. If that quote is not hitting anyone else like a ton of bricks given all the hype on a new paradigm for education, how about the open declaration that the cultivated shared vision about the new role of governments “simply assures that enough of the community shares the leaders’ vision to overcome the opposition.” No wonder we keep hearing all those mentions of democracy. Has there ever been a more meaningful confession of majority rules? Now the Reinventing Government book left me breathless because it fit the facts I have noticed or laid out in my book so well going back to the 60s. It said the original version of this reprivitization/steering vision though had come from Peter Drucker and cited a 1968 book The Age of Discontinuity. Drucker’s vision called for education and learning grounded in skills that would be the “cornerstone of tomorrow’s education for everybody.” This would not be an academic education grounded in subject content and he wanted the focus to be on nonverbal experience and performance. Like performance standards and assessments and learning experiences? What is now being described as Competency education suitable for the workforce or college open to all sounds like what Drucker called in 1968 his “education of technologists.” Education suitable for an equitable society where governments now do the steering and see that all people’s needs are met. Those are standards in the sense of goals for everyone. That is a vision that allows for Student Success for ALL. It fulfills the current attempt to create a federal civil rights obligation grounded in quality education that provides Equity and Excellence. And at its fundamental foundation it uses governments in the Developed World to steer economies and society to finally fulfill what Uncle Karl called his Human Development Society. One last revelation from Reinventing Government in 1992–A Global Revolution–that fits with the worldwide push towards Competency. Using similar mechanisms for comparable reasons.